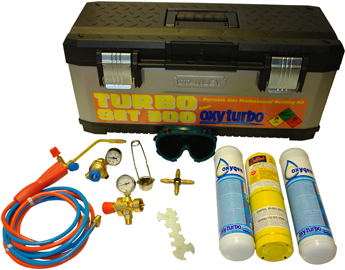 Oxyturbo designs a wide range of solutions for different uses: the main aim of there production system is to improve reliability and product safety, to reach the highest performances, with a particular attention to the end-user's needs. 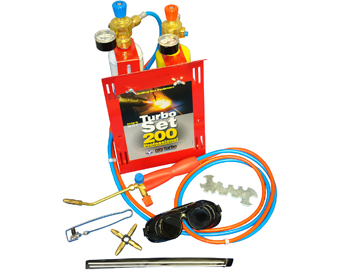 The production system of Oxyturbo has been approved by the UNI EN ISO 9001 from 1996: this qualitative guarantees reliability of there products. 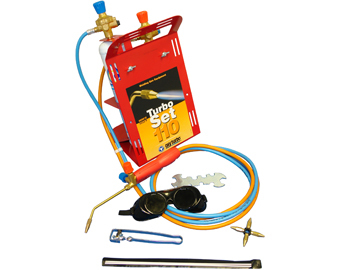 Telford Group Ltd specialise in selling the Turboset Portable Welding Kits and are the exclusive importers for the 110, 200 & 300 kits in the UK.